Morristown, NJ December 6, 2018 – Majesco (NYSE American: MJCO), a global provider of cloud insurance software solutions for insurance business transformation, today announced the filing of a registration statement relating to a rights offering to all shareholders in which it expects its parent company will invest an estimated $35 million that it raised through a Qualified Institutional Placement in India in February 2018. The company intends to use this capital to fund the remainder of the Exaxe acquisition, pay off debt, and accelerate cloud growth, which includes additional acquisition opportunities. The new capital will be used to pay off debtand will strengthen Majesco’s balance sheet providing the company with flexibility to invest in future growth opportunities. These funds will support future acquisitions to strengthen Majesco’s cloud and speed to value market leadership across all insurance market segments. The new capital will provide the necessary funding for the remainder of the acquisition of Exaxe, a leading cloud software company serving a growing list of top European insurersand headquartered in Dublin, Ireland that was announced on November 27, 2018. 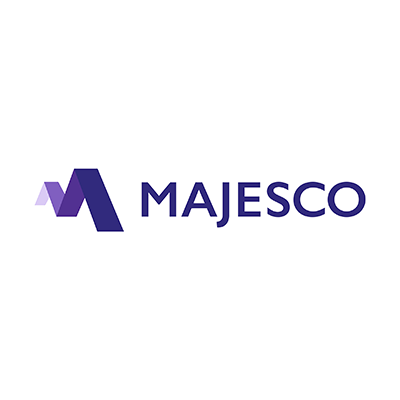 This acquisition strengthens and expands Majesco’s software offerings in EMEA for the individual life, pensions and wealth management market and complements Majesco’s software and Group focused customer base in the UK. Exaxe cloud software is recognized for significantly improving customer experience, reduced implementation times and speed to market for new products with operational efficiency. As the company focuses on accelerating growth and integrating the Exaxe acquisition, a key strategic focus is to infuse new funding in the business operation. Not only will this support growth, but the company expects additional capital will accelerate and expand Majesco’s cloud insurance software market leadership and focus on delivering speed to value for a rapidly changing insurance market. Majesco has filed a registration statement on Form S-1 with the Securities and Exchange Commission for the distribution at no charge to the holders of the company’s outstanding common stock of non-transferable subscription rights to purchase shares of common stock. Each holder will receive one subscription right for each share of common stock owned on the record date (which is yet to be determined), and each subscription right will entitle the holder to purchase one-sixth of a share of common stock. The proposed rights offering will also include an over-subscription right wherein holders who exercise their basic subscription rights in full will be entitled to exercise an over-subscription right to purchase some or all of the additional shares of common stock that remain unsubscribed at the expiration of the rights offering, subject to the availability and pro rata allocation of shares among holders exercising the over-subscription right. Majesco intends to use the net proceeds from the rights offering to reimburse debt, fund future acquisitions and for general corporate purposes, including to fund any earnout payments in connection with the acquisition of Exaxe. Questions about the rights offering or requests for copies of the preliminary prospectus may be directed to Majesco’s Information Agent, Broadridge Corporate Issuer Solutions, Inc., by email at Shareholder@Broadridge.com or by telephone at 888-789-8409. A registration statement relating to these securities has been filed with the SEC but has not yet become effective. The securities may not be sold nor offers to buy be accepted prior to the time the registration statement becomes effective. This announcement shall not constitute an offer to sell, or the solicitation of an offer to buy, the subscription rights or the underlying common stock, nor shall there be any sale of these securities in any state in which such offer, solicitation or sale would be unlawful prior to the registration or qualification under the securities laws of any such state. This press release contains forward-looking statements within the meaning of the “safe harbor” provisions of the Private Securities Litigation Reform Act. These forward-looking statements are made on the basis of the current beliefs, expectations and assumptions of management, are not guarantees of performance and are subject to significant risks and uncertainty. These forward-looking statements should, therefore, be considered in light of various important factors, including those set forth in Majesco’s reports that it files from time to time with the Securities and Exchange Commission and which you should review, including those statements under “Item 1A – Risk Factors” in Majesco’s Annual Report on Form 10-Kand the registration statement.